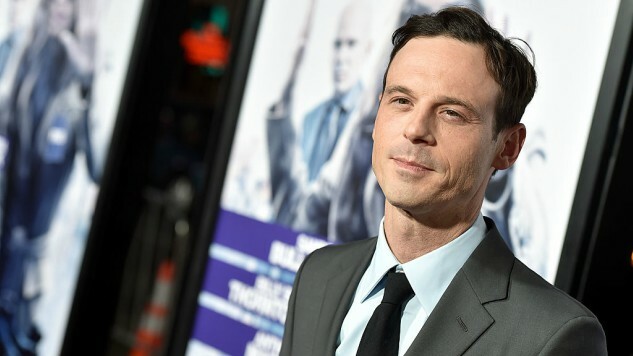 Scoot McNairy is set to join Academy Award winner Mahershala Ali, Carmen Ejogo and Stephen Dorff in the third season of the HBO anthology series True Detective, per Deadline. Season three will take place in the Ozarks and will span three different time periods following a series of grisly murders. McNairy, most known for his leading roles in the AMC series Halt and Catch Fire and the 2017 Netflix series Godless opposite Michelle Dockery and Unbroken actor Jack O’Connell, will play a father who suffers a horrific loss, thus tying him to the fate of two police detectives for ten years. Ali and Dorff will play the two police detectives. McNairy has also appeared in the Oscar-winning films Argo and 12 Years A Slave, and had a small role in David Fincher’s Gone Girl. He can be seen in the forthcoming thriller Destroyer alongside an unrecognizable Nicole Kidman. True Detective showrunner Nic Pizzolatto wrote every episode of the new season except episode four, which he co-wrote with veteran television writer David Milch. Pizzolatto also penned the screenplay for the recent remake of The Magnificent Seven, starring Denzel Washington and Chris Pratt. Pizzolatto will make his directorial debut this season alongside Jeremy Saulnier, who will direct a majority of the episodes. Pizzolatto will executive produce alongside Saulnier, Woody Harrelson and Matthew McConaughey (who starred in season one of the show), Scott Stephens, Cary Fukunaga, Steve Golin, Brad Dorros and Richard Brown.